John Thomas Maloney was born on June 22, 1904 in St. Joseph, Ontario, to parents Michael Maloney and Bridget McDonough. He was baptized on June 26 of the same year at St. Peter’s Parish in St. Joseph. His early years were spent at the local separate school, before he moved on to Parkhill High School and Assumption College in Windsor for his secondary studies. 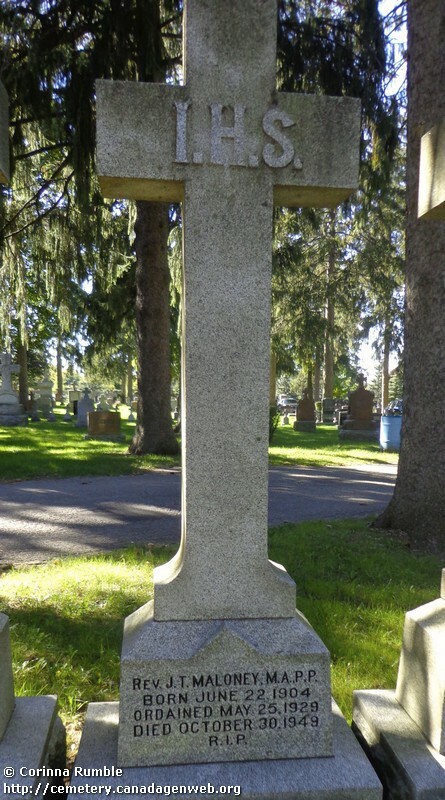 His post-secondary studies were in philosophy at the University of Western Ontario, for which he received an Honours Bachelor of Arts degree in 1925, followed by his study of theology at St. Peter’s Seminary. He was ordained on May 25, 1929 at St. Peter’s Cathedral in London by Bishop J.T. McNally, Bishop of Hamilton (later the Archbishop of Halifax), as Bishop Fallon was sick at the time. His first Mass was offered in Windsor, where his widowed mother lived, and from there he became assistant pastor at St. Theresa’s Parish in Windsor from 1929 to 1930. From there, he became assistant pastor at Sacred Heart Parish, also in Windsor, as well as spending a few months with Father Campeau at Blessed Sacrament Parish in Chatham. 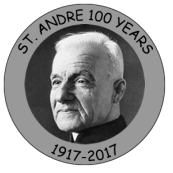 He stayed at Sacred Heart for another two years, until 1932, and then went to St. Joseph’s Parish in Chatham, where he stayed until 1936. Father Maloney was, by all accounts, a man who committed himself fully to whatever he undertook, both in his time at the seminary and during his work as a parish priest. While his early years were very fruitful, there was a marked increase in responsibility after 1936: it was in that year he went to Washington for further studies, earning a Master of Arts degree in 1937 from the Catholic University of America. Upon his return, he was immediately asked to organize the Confraternity of Christian Doctrine; he remained its director for the rest of his life. He was also Diocesan Director of Catechetics, and in this role he attempted to revitalize the discipline by instituting study groups to engage the laity. 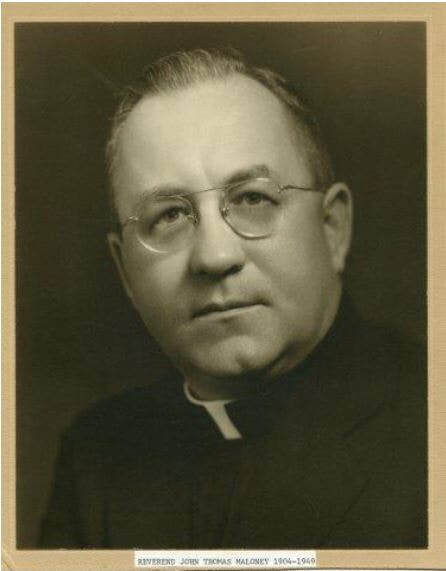 In the midst of this, he became pastor of St. Mary’s Parish in London in 1939, and continued his tireless work: under his pastorate, he began the Holy Hour Novena Service, bringing in guest speakers in from across Canada and the United States that drew crowds from beyond the parish. His vigorous promotion of Father Patrick Peyton’s Family Rosary Crusade was also widely remembered. On October 30, 1949, Father Maloney had finished giving a sermon on the need for the holy sacrifice of the Mass, filling in for two speakers who had been unable to attend his “Lay Folks’ Week” services. Within a few hours, his assistant, Father John J.
McCormick, found Father Maloney dead in the rectory from a cerebral hemorrhage. The sudden loss of Father Maloney came as a great shock to priests and parishioners alike, but the crowds that attended his funeral service, including numerous non-Catholics, were a testament to how beloved he was.